My current research interests include data and computation outsourcing security, network security in emerging Internet architecture, multimedia security and its applications, and privacy-enhancing technologies in the context of big data and IoT. My research has been supported by multiple government research fund agencies, including National Natural Science Foundation of China, Hong Kong Research Grants Council, and Hong Kong Innovation and Technology Commission, as well as Amazon Web Services, and Microsoft Azure. Please refer to our group website for more details. 2017 “The President’s Awards 2016” City University of Hong Kong. 2017 “Best Student Paper Award” IEEE ICDCS 2017. You Can Hear But You Cannot Steal: Defending against Voice Impersonation Attacks on Smartphones. 2015 “Best Paper Award” IEEE MSN 2015. Towards Secure and Practical Targeted Mobile Advertising, 1 out of 37 accepted papers. May 2011 - Aug 2011, Research Intern, Palo Alto Research Center, US. Towards Trustworthy and Secure Outsourced Middleboxes, GRF, 1 Jan 2018 - 31 Dec 2020, Cong Wang (PI). Security and Privacy-enhancing Technologies for Cloud Storage of Big Data, CRF, 1 Jun 2017 - 31 May 2020, Cong Wang (Co-I). Towards Privacy-assured Network-assisted Content Dissemination, GRF, 1 Jan 2017 - 31 Dec 2019, Cong Wang (PI). Secure and Privacy-assured Image Services Outsourcing in Cloud Computing, GRF ECS Grant, 1 Jan 2014 - 30 Nov 2016, Cong Wang (PI). Helei Cui, Huayi Duan, and Cong Wang, Method for Accelerating Execution of Application in a Trusted Execution Environment, US Patent No. Pending, Nov 2017. Approved by CityU KTO to file in US. Cong Wang, Xingliang Yuan, and Chengjun Cai, An Electronic Storage System and A Method of Data Management, US Patent No. 15/614,905, 6 Jun 2017. US Patent Application filed with the USPTO. Xingliang Yuan, Yu Guo, Xinyu Wang, and Cong Wang, Method for Operating a Distributed Key-Value Store, US Patent No. 15/483,052, 10 Apr 2017. US Patent Application filed with the USPTO. Cong Wang, Sarana Nutanong, Xingliang Yuan, Xinyu Wang, and Chenyun Yu, Systems and Methods for Privacy-assured Similarity Joins over Encrypted Datasets, US Patent No. 15/371,953, 7 Dec 2016. US Patent Application filed with the USPTO. Kurt Partridge, Ersin Uzun, Cong Wang, and Manas Pathak, Privacy-Preserving Behavior Targeting for Digital Coupons, US Patent No. US8874485 B2, 28 Oct 2014. Granted. Manas Pathak, Richard Chow, Elaine Shi, and Cong Wang, Privacy-preserving Collaborative Filtering, US Patent No. US8478768 B1, 2 Jul 2013. Granted. Cui, Helei. , Yuan, Xingliang. & Wang, Cong. (2017). Harnessing Encrypted Data in Cloud for Secure and Efficient Mobile Image Sharing. IEEE Transactions on Mobile Computing. 16/5. 1315 - 1329. Zheng, Yifeng. , Duan, Huayi. , Yuan, Xingliang. & Wang, Cong. (Accepted 2017). Privacy-Aware and Efficient Mobile Crowdsensing with Truth Discovery. IEEE Transactions on Dependable and Secure Computing. Zheng, Yifeng. , Cui, Helei. , Wang, Cong. & Zhou, Jiantao. (2017). rivacy-Preserving Image Denoising from External Cloud Databases. IEEE Transactions on Information Forensics and Security. 12/6. 1285 - 1298. Wang, Cong. , Yuan, Xingliang. , Cui, Yong. & Ren, Kui. (Accepted 2017). Toward Secure Outsourced Middlebox Services: Practices, Challenges, and Beyond. IEEE Network Magazine. Yuan, Xingliang. , Wang, Xinyu. , Wang, Jinfan. , Chu, Yilei. , Wang, Cong. , Wang, Jianping. , Montpetit, Marie-Jose. & Liu, Shucheng. (2016). Enabling Secure and Efficient Video Delivery through Encrypted In-network Caching. IEEE Journal on Selected Areas in Communications. 34/8. 2077 - 2090. Yuan, Xingliang. , Wang, Xinyu. , Wang, Cong. , Weng, Jian. & Ren, Kui. (2016). Enabling Secure and Fast Indexing for Privacy-assured Healthcare Monitoring via Compressive Sensing. IEEE Transactions on Multimedia. 18/10. 2002 - 2014. Yuan, Xingliang. , Wang, Xinyu. , Wang, Cong. , Squicciarini, Anna. C. & Ren, Kui. (Accepted 2016). Towards Privacy-preserving and Practical Image-centric Social Discovery. IEEE Transactions on Dependable and Secure Computing. PhD students: Helei Cui (2014.09~), Zhenkui Shi (2014.09~), Yifeng Zheng (2015.07~), Xinyu Wang (2016.06~), Huayi Duan (2016.09), Chengjun Cai (2017.09~), Yu Guo (co-supervised with Prof. Xiaohua Jia, 2016.01~), Jing Yao (XJTU-CityU, 2014.09~), Shengshan Hu (WuhanU-CityU, 2016.09~). Research assistant: Xiaoting Tang (2016.06~), Mengyu Yao (2016.08~). Undergraduate Student Assistant: Yuefeng Du (2017.10~). 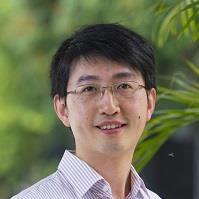 Xingliang Yuan, PhD, 2016, first employment: Lecturer (Assistant professor), Monash University, Australia. Jinghua Jiang, (XJTU-CityU) PhD, 2017, first employment: Senior engineer, Baidu Shenzhen, China. Chengcheng Dai, PhD, 2017, first employment: Research engineer, Huawei Hangzhou, China. Yu Zhang, Post-doc, 2016~2017, first employment: Lecturer (Assistant professor), Deakin University, Australia. IEEE INFOCOM (2014, 2015 2016, 2017, 2018), IEEE ICC (2014, 2015, 2016), IEEE Military Communications Conference (IEEE MILCOM 2012, 2013, 2014, 2015, 2016, 2017), and IEEE Global Communications Conference (IEEE Globecom 2012, 2013, 2014, 2015, 2016, 2017), IEEE ICDCS (2015, 2016, 2017), IEEE CNS (2015, 2016), ESORICS (2015, 2016, 2017), SECURECOMM (2016, 2017), ACM AsiaCCS (2016, 2017), etc.